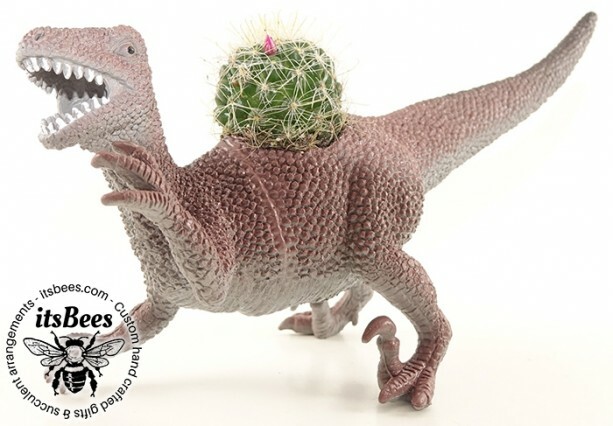 Perfect gift for dinosaur lovers of all ages! 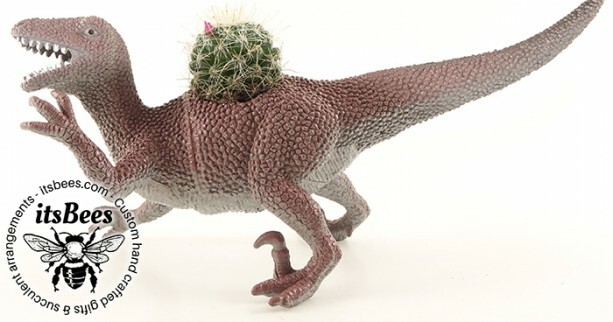 From executive office to cubicle, from dorm room to a baby's dinosaur themed room, dinosaur sits cute as can be. 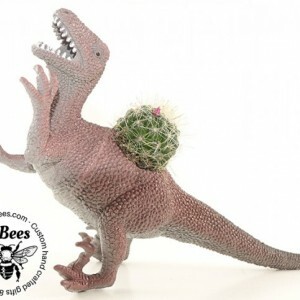 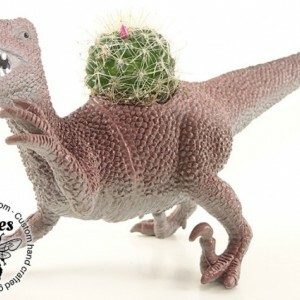 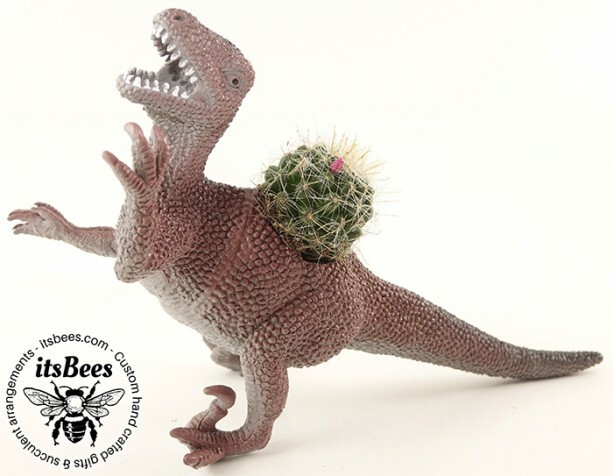 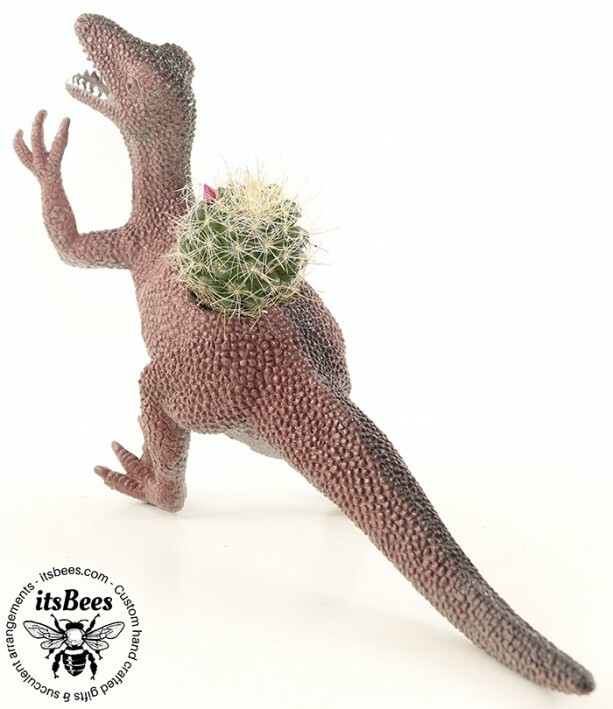 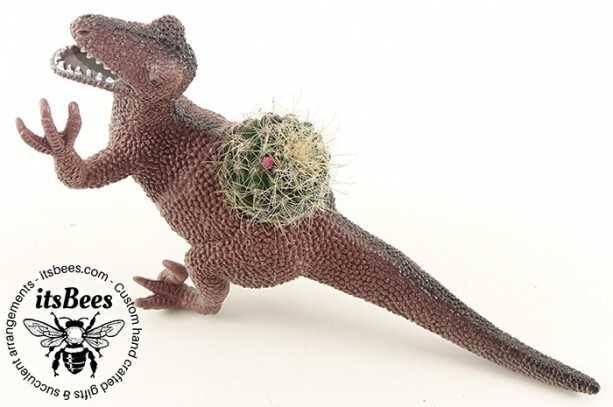 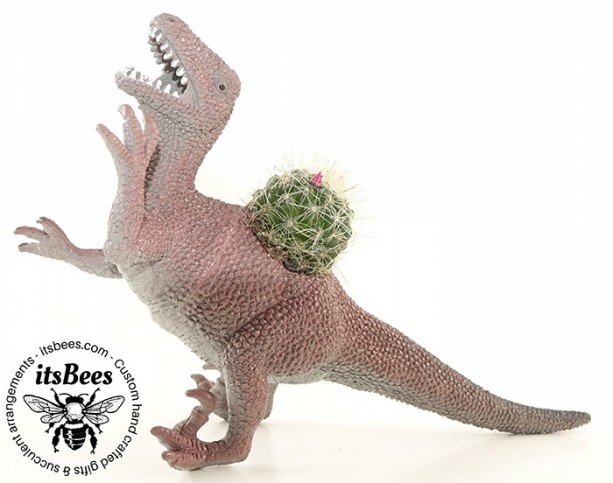 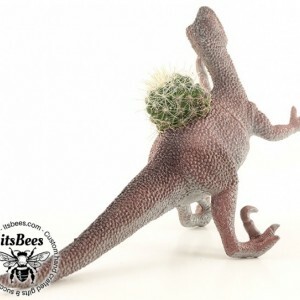 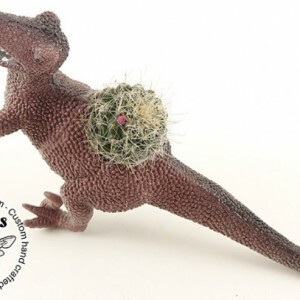 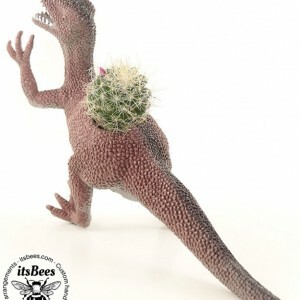 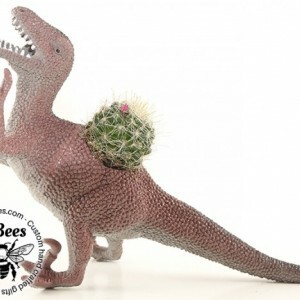 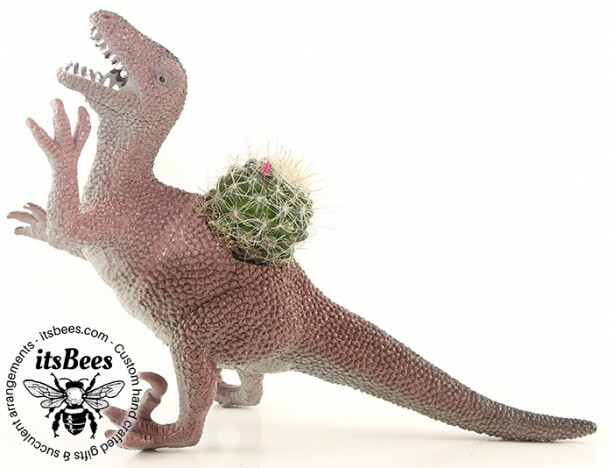 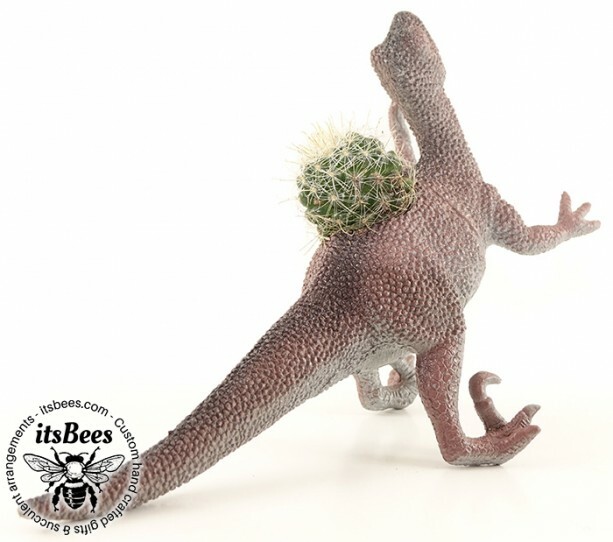 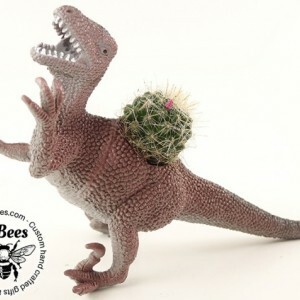 Customize your Raptor with your choice of plant: Haworthia Succulent Cactus Aloe Air Plant Raptor measures approx 8" long and 5" tall. 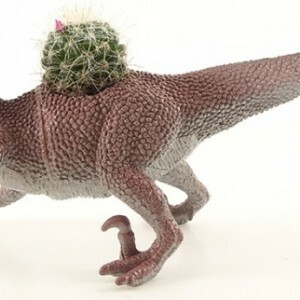 Easy care instructions included.